In case you haven’t heard, the Facebook was recently the first social network to break the 1,000,000,000 users mark. That’s 1 billion…with a “B.” While Facebook in undoubtedly the king of social networking as we know it, over the past 2 years we’ve seen a plethora of new social networking sites jump on the scene. Over the years Facebook has evolved into a photo sharing and life streaming platform good for base online communication between friends and family. However the social networking giant’s biggest flaw is that it actually appeals to 1 billion people. These new social networking sites aren’t trying to please everyone: rather they’re defining themselves into a specific niche and are able to serve the needs of that community exceedingly well. Where Facebook pleases all of the people some of the time, these new social networks please some of the people all of the time. Facebook is so broad they can’t afford to do everything for everyone, and as a result many people are logging out of the site and signing up for these alternatives. Some recent data from Experian shows niche social networking sites are booming. Here are 9 of the newest social networks you should know about, and how they could change the game of social networking as we know it. Sgrouples (sounds like ‘scruples’) is our very own private, group-centric social network designed to mimic how small groups of people interact in their real lives. Sgrouples allows you to easily post content to different groups based on your real life interests – friends, family, work, sports teams, and hobby groups. In addition to the group networking flavor that gives Sgrouples it’s name, users can also connect 1:1 with their contacts, integrate Facebook, Twitter, and LinkedIn, collaborate on Google-doc style docs, and upload & share files with 4GB of free cloud storage. Sgrouples has unprecedented privacy controls, both in terms of how it allows you to post in secret to specific groups or contacts, and in how you allow the site to use your data. While literally every major social network is scraping, reselling, and sharing your personal information, at Sgrouples you retain total control of your private data. In addition, no social network has combined live collaboration documents, cloud storage, social network aggregation, an events calendar, and private group collaboration all under one roof. Sgrouples makes it easy to control your online presence and choose exactly who has access to which content of yours. Sign up for an account and see for yourself what Sgrouples has to offer. Nextdoor is a social networking site with a unique attitude – get people off their computers and out into real life. Nextdoor requires a real address to sign up, and then places you in a hyperlocal network with your neighbors and peers. You can then post listings to your local community and meet individuals with similar interests or hobbies. Since there’s obvious privacy concerns with a social network tied to your home address, Nextdoor is private to people within your neighborhood, with additional privacy settings available to protect your home. As stated, Nextdoor has a unique goal – take people offline and into real-life communities. Noticing a trend here? Users don’t want to share with hundreds of fake “friends” anymore, but rather want to share with local real-life groups and communities. This marks a major shift in how social networking users behave online, and private social networks like Nextdoor and Sgrouples will only continue to gain popularity. Pinterest is visual, entertaining, and most of all it’s easy to use. The visual new social network highlights the connection between visually compelling design and user experience. Toto, we’re not in Netscape anymore. Where social media sites like Flickr are great web 1.0 photo sharing networks, Pinterest takes interaction and engagement to the next level with exciting design and a dead-simple interface. Of course Pinterest’s uniqueness has been widely duplicated by this point, but imitation is the sincerest form of flattery right? Beyond an exciting UI for end users, Pinterest has also skyrocketed to success because of the natural way brands can promote their products on Pinterest. Pinterest can refer more traffic than Facebook, Yahoo organic search, and even Twitter depending on your niche. No wonder brands love the platform. PS – Pinterest recently jumped on the private social networking bandwagon with the release of their secret boards feature. 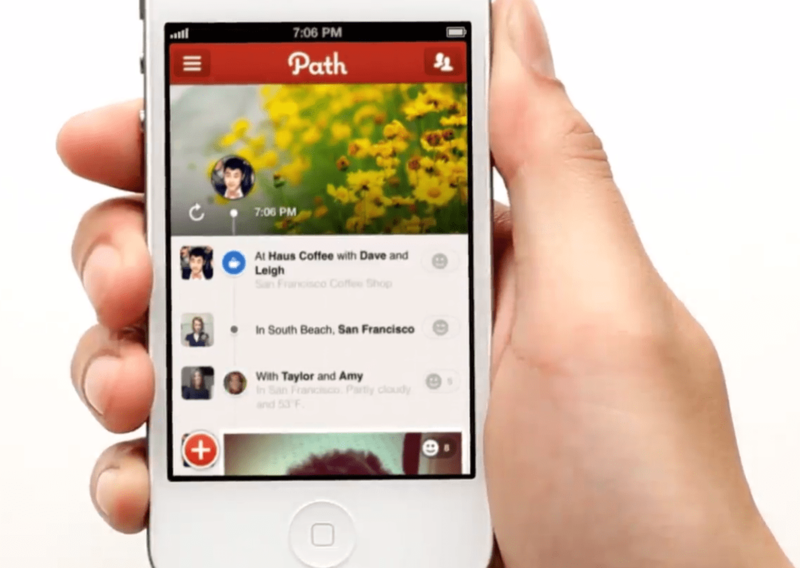 Path is a mobile-based social network that allows you to lifestream with 150 close friends and contacts. Path It started as a social networking site primarily for sharing photos but you can also check in, post status updates, and share music/movies/books. Again, Path isn’t a social networking site to blast to thousands of followers, but a place to stay in touch with the real people in your life. What Twitter and Instagram are for public lifestreaming, Path is to private lifestreaming. Easy to use on the go, a simple, sleek interface, and the idea that some stories are best kept between friends. In fact, a big part of what sets path apart as top new social networking site is it’s own story. Path does a great job of creating an intimate feel for it’s users, and encouraging them to share their story with real people. Posts are even called “moments,” which sets the tone perfectly. Path makes the statement: Social networking isn’t all about how many likes you can get, but the real connections you can cultivate. Myspace was the first truly successful social network, back before Facebook dominated the scene. However, as you’ve probably heard Myspace recent announced it was getting a major facelift and changing to a sleek, Pinterest-like UI. Myspace has also kept all the music contracts it has amassed over the years, which positions it as the go-to social networking site for musicians and their fans. Myspace is an ironic sort of Cinderella story in that it was once the giant on the scene, only to be toppled by Facebook and limp along with a declining userbase for several years. This Myspace 3.0 so to speak shows that anything is possible in the social networking scene, and reemphasizes the power of a user-friendly UI and a loyal niche audience. They’re not trying to “win” the battle with Facebook as they’ve tried for so many years, but rather they’re signaling that the future of the web is in catering to a specific audience and doing that one thing really well. Highlight, Ban.jo, and Roamz are examples of a new type of social networking site called social-local-mobile (SoLoMo) networks. And by ‘networks’ we really mean ‘apps,’ as they’re primarily for mobile platforms. SoLoMo apps are social networks based on connecting you with people in the same local proximity. You can meet others for lunch, share in nearby events, or just find out more about people who frequent your favorite local hotspots. Highlight is only for iOS, while Ban.jo and Roamz are on both iOS and android platforms. If you’ve paid any attention to digital marketing over the past year, you’ll know the trend is mobile mobile mobile. Mobile platform use is projected to overtake desktop internet usage by 2014, and everyone wants a piece of the action. While many apps simply provide a way to access your social networks via phone, these mobile-centric social networks operate in a unique way by integrating geolocation with their core service. This is both incredibly useful, and incredibly problematic. As mobile and data sharing technology evolves the capabilities and features of these SoLoMo networks have expanded in unimagineable ways. We’ve written about theproblems with geotracking before, particularly when apps have access to multiple services and your personal information, and then broadcast that information to either local retailers or complete strangers. In short, hyperlocal social networks can be useful and highly targeted to their users, but the inherent loss of personal privacy raises a lot of question marks about the ethics of such a technology. Will new SoLoMo social networks continue to grow like wildfire, or will the privacy concerns ultimately be their downfall? Only time will tell. Specific niche audiences. Many new social networking sites no longer try to appeal to everybody. Instead they narrow their focus down to a specific niche and serve the needs of the people in that niche exceedingly well. Privacy is the name of the game. This isn’t 2006; we’re not so collectively giddy with the idea of social networking that we’re willing to share our lives with the entire world anymore. People don’t want 500 fake friends, they want 100 real contacts to connect with. They also don’t want to be tracked or spied on everywhere they go on the web. The online privacy revolution is here. Sleek, user-friendly design is a must. We’re in the future; we expect our technology not only to get the job done, but to look great doing it and to have an intuitive, user-friendly design. Web 3.0 users don’t have time to learn the ins and out of another social network’s complicated interface – they want to plug n’ play. Mobile mobile mobile. Every new social networking site is going mobile, and the widespread use of geolocation services poses some intriguing questions aboutonline privacy and personal safety. If you found this post useful, be sure to follow us on twitter @Sgrouples and like us onFacebook to stay in the loop. Facebook: Facebook’s modest beginning, as a simple networking tool for college students (mainly designed to allow students to let their friends know where the parties were, and to look at the pictures from those parties afterward), belies its current status as a variable and integrated tool for business marketing. The primary method that businesses use to exploit Facebook’s marketing possibilities is by creating a “page” for their business (akin to having a website “on” Facebook itself—think of it as having an interactive yellow pages listing), which Facebook users can follow. Businesses can then use their page to market their products, offer deals, and build their brand. Twitter: Like Facebook, Twitter began as a social networking tool—a way for friends to keep in touch—but has blossomed into a full-scale business marketing tool. Twitter uses 140 character “tweets” (short messages) that appear in the homepage of all users who “follow” the account. Businesses can use these to release news, market their products, and direct attention to special offers and new content. Hashtags (a word or phrase preceded by a pound sign) can also be searched for on twitter, meaning that followers or users looking for info on that topic can be directed to your account by simply attaching a hashtag to particular concepts or ideas in your business’s tweets. Google+: Google+ is a relative newcomer but is quickly becoming an important tool for businesses looking to increase their presence in the world of social media marketing. Google+ has features that enable businesses to utilize its model in the ways Twitter and Facebook are used (product marketing, news release, the building of a “follower” base, etc. ), but also has several facets these others do not. Google+’s “Promote” option allows you to customize your promotional content by creating different groupings of followers that you can then market differently to, and their “Measure” feature gives businesses an interactive measurement of how their Google+ page is being used. Google+ also offers a tutorial for businesses which gives advice on how best to use its features. One of the keys to a successful social media marketing platform is knowing your own business. A large corporation is going to have needs and attributes which require a very different approach to social media marketing than a small, local business will need to be successful. Play to your strengths—if you’re a larger company, focus on using social media to connect with a larger audience in order to get national exposure for your brand and products. If you’re a small, local business, use social media to build a dedicated, loyal customer base by offering the personal touch that only a local business can provide. If your business has a product or service that is primarily used or purchased by other businesses, use social media to network with other businesses in order to increase your visibility in the commercial marketplace. If your business offers a product or service which is primarily used or purchased by individual consumers, aim to use social media as a way to develop a pool of customers who see your brand as quality, hip, and available. No matter the size or nature of your business, a knowledge of your company’s strengths, target market, and product or service niche is an essential part of any successful social media marketing platform. Lastly, if it is within your company’s financial position to do so, consider creating a position specially designed to create, develop, and maintain your company’s social media marketing presence. More and more colleges are offering degrees specifically tailored to social media marketing, and graduates of these programs are trained and ready to help utilize the powerful marketing tools social media offers to increase the exposure of your brand and the sales of your products. If your company is not able to afford a dedicated in house position for social media management, be sure to hire a third-party service provider that specializes in social media marketing. It is much easier and effective to hire a trained expert in this field instead of attempting to figure it out on your own or task one of your other employees—whose training and expertise are better used elsewhere—to try to manage your social media marketing. Social media outlets are becoming essential for academia, not just for the promotion of research but for research development as well. Andy Miah provides an overview of his top picks for the social media newbie and argues that if used well, these platforms will allow academics to digest more content, more quickly. We must figure out how to use social media in a way that enriches academic working life, but in a way that also provides some added value. In December 2012, the LSE held an event about the future of academic impact. One chunk of the discussion was dedicated to social media and it made me think about what researchers should be doing today, to prepare for tomorrow. While a lot of the conversation was about how social media canpromote research impact, I also want to claim that social media is fast becoming a primary vehicle of research development. In so doing, this brief essay offers an overview of where we might need to focus our attention in the rapidly expanding world of social media. These days, I receive more invitations to speak and collaborate via Facebook & LinkedIn today than I do by email. I’d even go as far as to say that email is moribund. I mean, really, who has time to read all the emails they receive, let alone reply to them? I find more resources through Pinterest and Google Scholar than I do via my library. I meet more people with whom I share common research interests through Twitter than I ever did at academic conferences. I co-author and edit university documents in Google Drive saving hours of time spent sharing versions of drafts, sometimes working in real time on one document with over 10 people. I am also one of those people who has switched from Endnote to Mendeley, preferring the convenience of a multi-platform application, which I can install onto my home machines as well, without having to go through university IT. What about journals or conferences, I hear you ask? Are these not still primary vehicles of research development? Certainly, they remain important, but the point is that they are each increasingly being delivered by social media as well. Furthermore, we can digest a lot more content because of these platforms, if we use them well. I no longer visit journal websites or bother with email alerts about new issues. Instead, the RSS feeds of journals go straight into my social media environments, as soon as they are published. The content comes to me, saving hours of search time. So what is next for the social media newbie? The first thing to realise is that there is no single way of doing this well. We each have to figure out how to use social media in a way that enriches our working life, but in a way that also provides some added value. That said, there are some smart principles worth adopting. Setting up an ongoing ‘future media’ working group in your School will help you keep abreast of what’s hot and what’s not. So will joining the ‘Social Media News’ list on jiscmail, which I set up just for this purpose. This doesn’t mean that all academics need to tweet or use Facebook to benefit from social media. However, with more publishers, research, and peers occupying these places, deciding to opt out of social media is akin to opting out of email in the 1990s. If you really don’t know where to start, then the following platforms would put you in a good position to expand your reach. LinkedIn – if you don’t have a website, this social CV space is also quickly replacing discussion groups. Google Scholar – Set up an author profile to track your citations and receive alerts whenever your work is cited. Slideshare – Upload your presentations and start building your followers around the content you’ve already created. YouTube – 2013 is the year of video, so no top 5 would be complete without some video platform. There are many others now – and micro video-blogging on such platforms as Tout and Vine are worth keeping an eye on, but YouTube remains a good place to start. 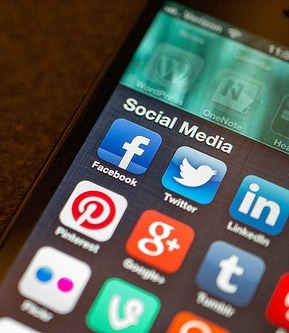 If you want to go even further, then check out my A to Z of Social Media for Academia. I know – it even rhymes! Professor Andy Miah (@andymiah) is Director of the Creative Futures Institute and Chair of Ethics and Emerging Technologies in the Faculty of Business & Creative Industries at the University of the West of Scotland. He is Global Director for the Centre for Policy and Emerging Technologies, Fellow of the Institute for Ethics and Emerging Technologies and Fellow of FACT, Liverpool. Is Piracy Really Killing the Music Industry? Various music industry trade groups claim that piracy is killing their industry, and are suing file traders and the sites they use. Are music sales, revenue, and profits down? Are MP3 downloads preventing music sales or do they instead help advertise new music? Are paid music downloads profitable or are they still insignificant? Unsurprisingly, the music industry’s own research and opinions on the subject support the idea that unauthorized distribution of music is killing both sales growth and profits. The result: music costs more to produce, there’s greater risk in signing smaller acts with uncertain audiences, and the lower sales volumes have forced the labels to raise the retail price of CDs. Isn’t The Customer Always Right? Before looking at the merits of the RIAA’s complaints and examining their own data on sales, take a look at the rationale presented by its various circles of critics, and see whose perspective best fits the facts. Among the most effusive and articulate of critics are the minds who make up the volunteer collective of free and open source software. These people have spent a lot of time thinking about the nature of shared ideas and intellectual property, and some try to apply the principles proven to work in delivering shared, open code into the world of entertainment. The difference, of course, is that free and open source software is written by volunteers. GNU/Linux, BSD, and other projects’ code can be shared as desired by their creators. 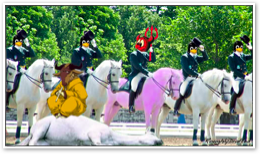 The GPL and BSD style licenses seek to enforce different schools of thought on how content should be shared. However, neither can be applied to the commercial music represented by the labels, because none of that music is free or open. Britney Spears’ music is just as closed and proprietary as Microsoft Windows, and nobody has rights to distribute it under a free license, just as Microsoft has no rights to distribute Linux code without following the license provisions of the GPL. Reasonable proponents of free and open content don’t confuse unauthorized use of commercial music with “free content,” and have instead sought to create their own music, movies and other entertainment, and share them under agreements like the Creative Commons licenses. In their ideal world, there would be no DRM, no or at least few middleman labels selling their representation and marketing, and musicians and other performers would be supported by user donations, sponsoring companies, or perhaps sunshine and love. While many free and open source software proponents are intelligent, experienced, and affluent, there is an epidemic of poor and stupid people around the world. Many of them have been quarantined into higher education campuses in a social engineering experiment to educate them and make them valuable to society. All that exposure to education and liberal thinking–considering facts and being willing to change their outlook based upon that new information–frequently results in more free and open source software proponents, with less attraction to music from Britney Spears and a greater interest in the work of smaller indie artists. Along the way however, the problems of being poor and stupid commonly result in run-ins with authority. The RIAA is increasingly becoming a prime example of this; it has been targeting the poor and stupid to create fear, uncertainty, and doubt about the safety of trading files. The RIAA mounted its legal attack just as sales of music to younger demographics appeared to collapsed in tandem with Internet file trading. However, things are not always as they appear, as the numbers indicate later. In trying to emulate their smarter and more experienced role models, the poor and stupid have tried to create economic arguments against the commercial existence of music. A recent popular meme is to describe music as a “non-scarce good” and DRM as an artificial construct designed to convert music into a scarce good, one that can command a high price. This argument is absurd. Music itself–as well as movies and other forms of entertaining, intellectual, and artistic performances–is most certainly a scarce good. It costs many thousands of dollars to produce an album, and millions to create movies. That expense, related to not only the “above the line” performers, but also the “below the line” technicians involved in production, and expenses in advertising, promoting, and the various administrative costs, all make music and other productions very expensive projects. Expensive things are scarce. •Currency is artificially scarce. Anti-counterfeiting measures are essentially a “DRM,” protecting the value of currency and propping up the economy. •Apartment rentals invent artificial scarcity to exchange privacy for money. A landlord could shove a dozen other people in your apartment. By not sharing your space, value is created and rent rises. •Consulting work is similarly based on the scarcity of an expert’s time. If time and space knew no boundaries, we could all be experts in every field and solve each other’s problems for free. Time and space are constrained however, as are raw materials, talent, and good ideas. All those constraints result in scarcity, which demands effort and expense to collect, expend, or consume. We vote on how to distribute scarce things with our money. Arguments that “ideas” like music have no value because they can be duplicated are as fallacious as suggesting that a copy machine creates value when it counterfeits money. No, it doesn’t. Fraud might temporarily enrich the counterfeiter, but it steals from everyone else who has worked for their money, because a fraudulent supply of money devalues real money. Counterfeiting is such a threat to the worlds’ economies that governments enact harsh punishments for counterfeiters, invest in developing anti-counterfeiting methods, and carefully police their money supplies. It is therefore no surprise that unauthorized copying of music is similarly viewed as a serious threat by those who benefit from a tight hold on its supply, or that they are interested in DRM as a mechanism of preventing copying, or that they are work to create strong copyright laws, penalties for evading the law, and are suing those who do. The main difference between money counterfeiting and music piracy is that nobody benefits from counterfeiting apart from the counterfeiter, while more people benefit from freely duplicated music: pirated music doesn’t only eat into music sales, it can also act as an advertisement and promotional tool. Record companies have long played their music on the radio for free, something that has no analog in the comparison to counterfeit money. The real question is: to what extent does file sharing hurt or help the industry? Neither the free and open source software people–who aren’t interested in commercial music–nor the poor and stupid–who don’t want to pay for music at all–are ideal customers. The real customers are people who buy music. They buy millions of CDs every year, and an increasing number are buying song downloads online. This pool of people make up the sweet spot. Record labels take them for granted, and focus most of their efforts on trying to herd people from the first two groups into this population, using threats of lawsuits and other forms of intimidation, including the use of often excessive DRM aimed to force paying users from ever leaving the pool and joining those who don’t pay for what they want. People respond better to positive, welcoming carrots than the stick of a police crackdown. Give an employee a critical summary of their screw-ups, and they will immediately stop listening to everything you say and consider you a bad manager. Highlight what they do well, and they will turn themselves inside out to please you. The same principle applies everywhere else humans exist. Send police into a poor, crime ridden neighborhood to “control crime” and the crime will continue, and probably increase. Provide education and create opportunities, and those same people will clean up their own neighborhood. America’s wars on Terror, Drugs, and Science have not resulted in victories, only in huge prison populations that cross-train fiercer criminals and in publicity campaigns than only appeal to those who designed them. If the US would dial back into its recent history, it could discover that investing in education and creating opportunities for advancement would solve its problems with much less spending and far better results. Similarly, if the record labels really want to expand their pool of paying customers, they need to focus on creating sales instead of attacking the poor and stupid who are unlikely to pay for their product anyway. The labels are so afraid of change that they failed to recognize the potential for digital music sales a decade ago, and have more recently dragged their feet in getting behind sales of music downloads. The forth group critical of the music label’s policies also represents a huge part of the solution to the music industry’s problems. That group includes Apple, which makes very little money in selling music in its online iTunes Store. Increasing the price of music is not in Apple’s interests at all, because the company is primarily hoping to ensure a supply of music for its players. Of course, Apple is also interested in expanding the supply of music sold through its online store. This both brings attention to its hardware sales, as well as enabling the company to expand its sales into TV and movie programming. Obviously, the more music that Apple sells, the more revenues the labels will earn. Apple is the carrot that music labels can use to reward customers for buying their music: offering a wider selection of artists and a deeper catalog to encourage more sales. As people discover more music they like, they will in turn buy more music. Alternatives to iTunes have failed primarily because instead of handing out an attractive carrot, they threatened users with a fearsome DRM-armored stick. MiniDisc and DAT were so encumbered by restrictions that they negated their own benefits. Microsoft’s PlaysForSure and Sony’s ATRAC similarly applied layers of DRM to suit the needs of producers so egregiously that consumers were left with little reason to buy their products. What Do the Facts Support? Do the facts indicate that the labels’ lawsuits, DRM, and market pricing strategies are effective? Are the assumptions that music sales, revenue, and profits are down accurate? Does file trading preventing music sales or does it instead help sell new music? Are paid music downloads profitable or are they still insignificant? 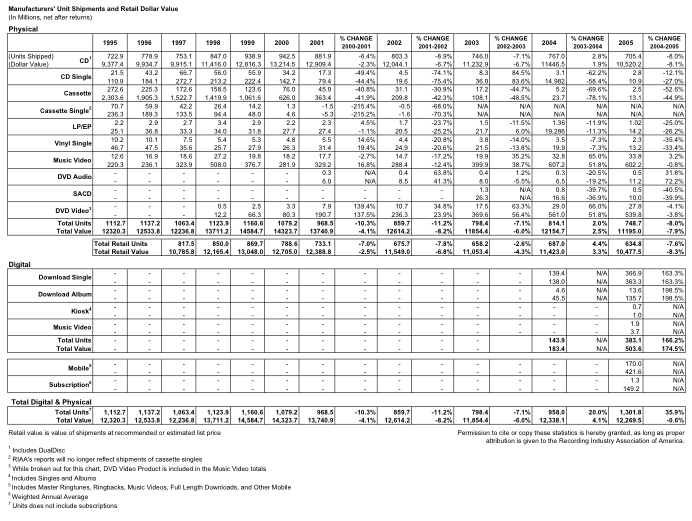 Take a look at figures reported by the RIAA itself. One warning sign: The RIAA contrasts “physical sales,” the vast majority of which are CDs, with “digital sales,” by which it intends to mean “music downloads.” It is somewhat scary that the RIAA in 2007 is not aware that CDs are digital music. Increased competition for entertainment dollars. When DVDs arrived, one could suddenly buy a 2 hour movie for around the same price as an hour of music on CD. Theatrical movies, video games, and other forms of entertainment have also given consumers other things to spend their money on. Alternative music formats. While SACD and DVD-Audio were huge duds, an increasing amount of music is being sold as mobile phone ringtones or in paid downloads. As the RIAA’s own number show, simply adding these sales with CDs makes up for the downturn in CD sales since 2000. Does the RIAA expect every dollar of new music sold in other formats to only expand upon CD sales? Has it never occurred to anyone that some would cannibalize existing sales, just as CDs ate up cassettes? Economic downturn. The economy tanked in 2000, just when CD sales flattened. However, as CD unit sales fell as noted in the blue line of this chart, the yellow line representing unit list prices failed to drop in the same ratio. The higher overall, relative price of CDs actually helped to retard sales, making alternative music formats and other entertainment options more attractive. Further, by antagonizing with the sticks of lawsuits, excessive DRM and higher prices, rather than incentivizing music sales by quickly moving to embrace online markets and offering fair prices to boost sales volumes, the labels have turned their industry into an authority figure that is fashionable to hate by the very demographic they hope to sell their new music. The percentage of music sold as downloads skyrocketed in 2005, from less than 1% the year before to nearly 6% of the market. Labels that embraced digital music did the best. In overall music market share, Variety reports that in 2006, Universal ranked first among the labels at 31.6%, Sony BMG came next with 27.4%, Warner Music took 18.1%, and EMI had 10.2%. While CD sales slipped, download sales doubled. Warner, the first label to partner with Apple, did the best. In downloads, Warner Music claimed first jumped from a distant third to a tie for second place, with a 23.29% share. Universal had 27.4%, Sony BMG 24%, and EMI 10%. Despite the advantage iTunes sales gave Warner in online sales, CEO Edgar Bronfman Jr. complained the loudest about Steve Jobs’ position against market pricing. Bronfman attempted to goad Apple into supporting the idea with a populist appeal, describing market pricing as an attempt to offer music for less than 99 cents. Of course, the real point of market pricing is to jack up the price of popular music that is actually being bought. This strategy has been disastrous for the music industry in markets outside of the iTunes Store, where labels have the freedom to set higher list prices. In fact, higher list prices are the phenomenon charted above in yellow and blue lines above. The “dollar value” statistics the RIAA reports for CDs is not the actual revenues earned by stores, but the list price of CDs! As popular new releases are given list prices of $18.99 or more, the record stores are left trying to sell a product priced beyond what the market will bear. The music labels helped kill the record store by making popular music unaffordable–and unprofitable, since big box retailers are happy to undercut list pricing to offer CDs as a loss leader to create store traffic. That leaves the record stores to sell lower volume catalog CDs, something many smaller stores can’t afford to do. Apple has prevented the labels from shooting themselves in the face in the online market by playing hardball: sell songs at 99 cents, and albums at $10, or your music will go unsold in the only online store with customers. In the online market, Apple has far more market power than all the record stores combined, and the discounting of Wal-Mart–which lists songs for 88 cents online–is constrained by the failure of Microsoft’s PlaysForSure DRM. The result is that sales are moving online, incentivized by consistent and fair prices, a wider available catalog, and better service than big box retailers. In addition to eating into physical sales, iTunes’ paid downloads are eating into casual file sharing. Those same principles make buying music more attractive than trying to search for free music online. Supporting iTunes is a far more workable strategy for the labels than trying to investigate and litigate against people who are unlikely customers anyway. If the music industry wants to survive, it needs to sell music rather than vilify itself as a hostile authority, price itself out of the market, and insist upon excessive DRM. •attack the download piracy of organized criminal organizations such as the Pirate Bay and the Russian mafia. The Pirate Bay, a site that helps to distribute pirated copies of commercial music, was reported selling $120,000 in advertising space on its website in a month. None of that money went to the artists, nor the technicians, nor the labels that work to sell it. Are those pirates Robin Hoods or simply organized hoods? Beyond the thieves profiteering on sales of unauthorized music, there is a less clear boundary between casual file trading and outright piracy. The music industry sees no distinction, and views every song traded as potentially hundreds of unsold CDs. In 2001, the International Federation of the Phonographic Industry, a worldwide body representing the music industry, blamed the 5% drop in worldwide music sales on file trading sites and CD burning. “The industry’s problems reflect no fall in the popularity of recorded music. Rather, they reflect the fact that the commercial value of music is being widely devalued by mass copying and piracy,” IFPI Chief Executive Jay Berman said. 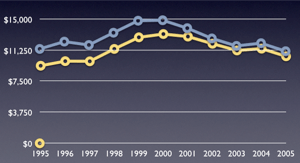 Regionally however, there were actual increases in music sales that year. France reported 10% growth and the UK saw an increase of 5%. The IFPI credited those increases on strong demand for local artists. Retail DVD sales jumped over 60 percent in 2002 to $8.7 billion, a $3.3 billion increase over 2001. US music sales in the same year fell by $1 billion to $12.6 billion. How much of that $1 billion drop in CD spending was converted directly into the $3 billion of new DVD sales? Does File Sharing Help the Music Industry? That same year, Jupiter Research announced the results of a survey of 3,319 people which found that file traders were reporting that they now bought more music than they had before getting online to trade files. “It is safe to say that active usage of online music content is one of the best predictors of increased consumer purchasing,” Aram Sinnreich wrote in the report. The following year, researchers at Harvard University and the University of North Carolina reported the results of a study of file sharing, based on a review of the log reports of 1.75 million traded songs over a 17 week period compared to actual album sales. They determined that even massive file sharing appeared to have no negative effect on sales, and in some cases appeared to have a positive effect on purchases. Other studies have reported that file trading does have the negative affect on sales one would logically expect. In any event, it is hard to argue against the fact that the recording industry can gain more ground by making CD and online purchases more appealing than it can through raising CD prices and suing children. Rather than seeking to raise prices in iTunes with so called market pricing, and continue to destroy the retail market for music with unrealistically high list prices, music labels need to focus on putting their product in front of their customers and making it appealing to buy. Michael Jackson, Whitney Houston, and Adam Yauch (aka ‘MCA’ of the pioneering rap group, Beastie Boys) all have something in common. You may think it’s obvious, but another tie that binds them is much less apparent and far more subversive. There is a term in the music industry. You won’t hear it bandied about in the VIP lounge at the Viper Room, nor will you hear it used in a sentence while music execs order expensive lunches at The Ivy but behind closed doors, in every board room, at every record label, every concert promoter and every merchandise company, it is quietly spoken on a regular basis. Now, before you begin composing your hate mail, you must understand that death is big business. Tupac Shakur’s hologram at the recent Coachella Music Festival is a prime example. And if you aren’t aware of this incredibly popular spectacle of technology and music, please take off your Darth Vader helmet and get a life. MTV News reports that the life-like hologram that continues to produce so much buzz with fans and non-fans alike, cost somewhere between $100,000 and $400,000 to produce. You may wonder what the incentive would be to make such an investment. Well, here’s an easy answer. Both AV Concepts (the creators of the hologram) and Dr. Dre have hinted to the press about a possible world tour. How much would you pay to see another Tupac concert? Then, there’s MJ. 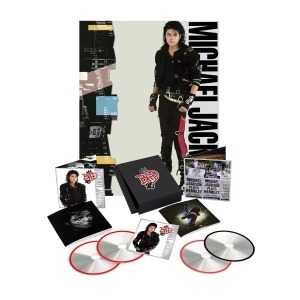 Jackson was the top-selling act of 2009 due to a surge in interest in the King of Pop’s albums which raised his career total to more than 750 million records sold worldwide. Since his death in June, 2009, This Is It, the backstage look at Jackson’s unrealized final tour, has been a runaway hit, helping his estate collect $310 million from music, merchandise sales, and its share of publication rights on Jackson’s music catalog. Cirque du Soleil’s The Immortal is selling out at as much as $250 per seat and the lucky fan can purchase over-priced commemorative merchandise both at the event and in the official online store. Even the Beastie Boys have begun to profit from the sad and untimely death of Adam Yauch (‘MCA’) with an increase of 1,235% in purchased music immediately following his death. But where does the demand of the fan who wants to relive their memories stop and the greed of the music industry begin? 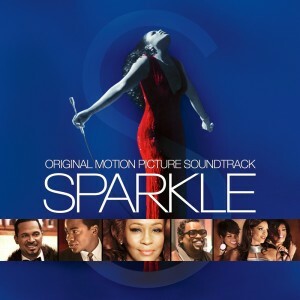 The day after Whitney Houston was found dead in a Beverly Hills hotel, prices for two of her albums: “The Ultimate Collection” and “Greatest Hits” jumped in price in the U.K. iTunes store. In dollars, the prices rose from $7.80 to $12.50. Right away, Sony and Apple came under fire from consumers who believed one or both of the companies were trying to cash in on the singer’s death. This type of business practice is not at all uncommon in the music industry and New York University professor Samuel Craig, deputy chair of the Stern School of Business’s marketing department, says it is perfectly legitimate for entertainment companies to do everything possible to extend their catalogs’ revenue stream. Rule No. 1, however, is never, ever price gouge. “You don’t want to be viewed as taking advantage of a tragic situation,” Craig says. Also, companies should refrain from really aggressive marketing tactics until “an appropriate mourning period” has passed. How long? Professor Craig suggests six months. So, consumers, do you find yourselves alarmed by this? Disgusted by any of it? Or are you too busy coveting your cherished, 35th Anniversary Commemorative Edition of the Official Guidebook to Graceland? Here are some of the most interesting digital marketing statistics we’ve seen this week. Stats include real-time bidding, showrooming, m-commerce, mobile sharing, US search spend and mobile ad budgets. Our new Online Advertisers Survey Report asked 1,000 advertisers and publishers about the benefits of real-time bidding and found that more than half of advertisers see improved performance (62%) as the main advantage. 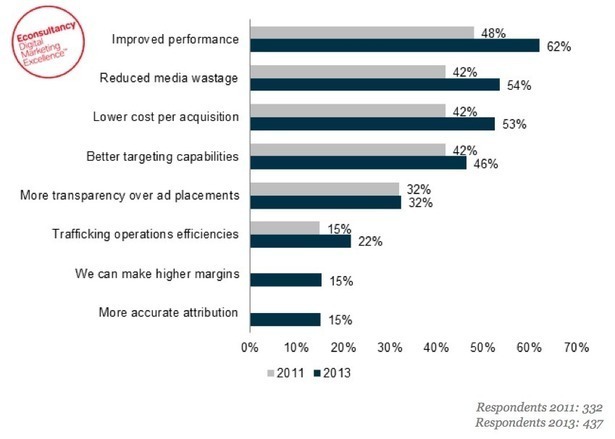 This was followed by reduced wastage (54%), lower cost per acquisition (53%) and better targeting capabilities (46%). This is the third Online Advertising Survey Report, produced in association with advertising technology company Rubicon Project. What do you see as the advantages of real-time bidding? A new survey from Microsoft has found that ‘showrooming’ is rife in the UK for ‘considered’ purchases – 42% of people look at electronic goods in-store before buying online from a different retailer, compared to 27% in US. 36% look in-store before buying online from the same retailer. (NB: this isn’t showrooming as defined here, since mobile is not necessarily involved in the process). In the UK consumers are also much less impulsive in-store – 81% buy only the electronic item they went in for and nothing else, compared to 57% in US (where 34% buy other electronics after buying what they actually wanted in the first place). New data from the IMRG and Capgemini shows that mobile devices now account for all online sales growth as the amount of sales through desktop computers has plateaued. Though total online retail has averaged around 15% growth since Q1 2011 figures excluding mobile have actually seen a steady decline before flat-lining in Q2 2013. 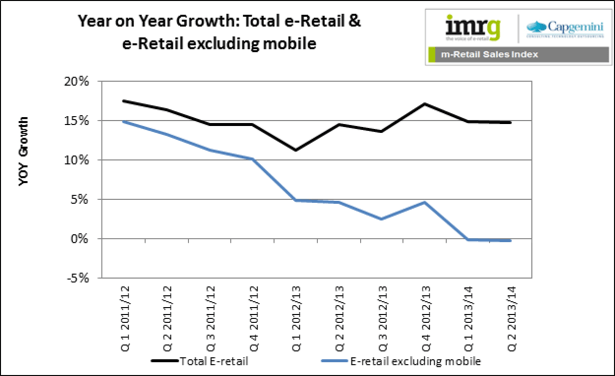 The data also shows that 23% of all online retail sales in Q2 2013 came from mobile devices. Consumers are 7% more likely to click on a display ad during the weekend, with a significant rise on Saturday and Sunday compared to the rest of the week. At the same time, the average cost for online advertising at the weekend was found to be lowest, around 12% lower than during the week. The findings are revealed in Adform’s Quarterly Media Barometer which measures consumer trends and engagement with online display advertising. Overall, the report also revealed that brands raised their real-time bidding (RTB) advertising spend by 92% through the summer. This is despite the rising costs from publishers, who saw their CPMs increased by 30% across the quarter. A survey of 400 US companies found that 40% of respondents said that mobile is a top priority for their brand and core to their overall marketing strategy. Additionally, 80% of respondents in the MMA survey cited that mobile is not only transformational for their companies, but also strategic for their careers to stay on the cutting edge of emerging trends and technology. The survey identified that data offers significant value when paired with mobile as 61% of companies plan to invest more in data capabilities over the next year. Analysis of RadiumOne’s first-party data has found that the UK is the first country to share more on mobile platforms than on desktops. Peak sharing on mobile devices in the UK rose above 50 per cent for the first time in May 2013, according to analysis of RadiumOne’s first-party data. By August, consumer sharing in the UK was dominated by mobile devices with average desktop sharing accounting for just under a third of all sharing (32%). 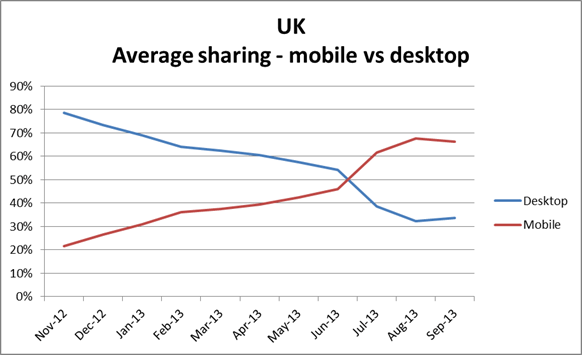 As recently as November 2012, mobile sharing only peaked at 28% of all UK sharing despite the growth in popularity of smartphones. The USA is behind with peak mobile sharing only edging past desktop (51%) just one day a week, while desktops remain the preferred sharing platform during the working week. IgnitionOne’s latest quarterly report has found that US search spend in Q3 was up 13% when compared to Q3 2012. However total search spend was a decrease quarter over quarter (QoQ), which is expected due to seasonality. Google Enhanced Campaigns had a noticeable effect on CPC for search advertising on tablets which were up 32% – more than double the increase for PCs. Enhanced Campaigns also are suspected to be responsible for the drop in CTR for tablets compared to last year at this time, which were down 20%. Mobile marketing budgets have increased by 142% since 2011 and one-in-five US marketers expect to increase their mobile spend by more than 50% over the next couple of years, according to a new IAB survey of 300 organisations. The survey also found that 74% of brand marketers expect their mobile spend to increase in the next two years, including 19% who expect budgets to increase by more than 50%. Snack foods giant Mondelez has said that it plans to invest heavily in social marketing after running a campaign which resulted in the same purchase consideration as television but at one third of the cost. Mondelez used Promoted Posts, daily posts, user feedback and user-generated content as part of its “Have a Fling” promotion for Cadbury’s Creme Egg. The result was that brand consideration on TV increased by 20% over three months, while the increase attributable to Facebook rose 18%. Furthermore consumers exposed to both TV and Facebook were 66% more likely to purchase than the expected combined effect of both channels. Anyone know if digital works? Only 9% of marketing professionals strongly agreed with the statement that they “know their digital marketing is working,” according to a new survey from Adobe. The survey of 1,000 US marketers found that just under half (48%) of digital marketers feel highly proficient in digital marketing. Furthermore most digital marketers don’t have formal training; 82% learn on the job. David Moth is Deputy Editor at Econsultancy. You can follow him on Twitter or connect via Google+ and LinkedIn. Yesterday it emerged that Google is planning to encrypt even more organic search queries, thus removing even more search keyword data from sites. The already tricky task of measuring natural search data has been made even harder by this latest move. We want to provide SSL protection to as many users as we can, in as many regions as we can — we added non-signed-in Chrome omnibox searches earlier this year, and more recently other users who aren’t signed in. We’re going to continue expanding our use of SSL in our services because we believe it’s a good thing for users….The motivation here is not to drive the ads side — it’s for our search users. What does the removal of (most of the) remaining keyword data mean for search marketers? Depends on what type of a search marketer you are to be honest. Will it make reporting more difficult? Probably. Will our SEO get a little bit less smarter? Probably. You have to remember that Google keyword tool and Google WMT are highly inaccurate when it comes to reporting keyword data – I have clients that get organic traffic much higher than reported for keyword traffic suggested by Google. On the other hand, I have been an SEO from the days when we used Overture and the Google KW tool did not exist. I remember having to run logfile analytics as free analytics packages didn’t exist (anyone remember AWstats?). As search marketers, most of us are fairly resilient. If we can’t report on keyword traffic we will find work-arounds, and maybe bring back rank reporting as an important metric. So coming back to your question what it would mean to search marketers? It depends on what type of a search marketer you are. If you are resilient, you would take this in your stride. First and foremost it means there is less data to analyse and use to inform the strategic and tactical focus of SEO campaigns. A lack of keyword data makes it more difficult to identify low-hanging fruit (e.g. keywords that drive a relatively high amount of traffic from relatively low positions). Spotting trends in keyword data has also been made more difficult. If organic traffic / conversions goes up but we can’t see what has driven the increase (was it brand or non-brand, was it one keyword or all keywords? ), the ability to measure the impact of SEO work is significantly more difficult. There are already various alternative ways and workarounds to get a reasonable idea of keyword data. So it simply means more time and expense for search marketers, which may then be passed onto the business or clients. Greater reliance on third party tools and rank tracking software to monitor success. People will still want a measure of non-brand growth, so we expect tools such as Google Webmaster Tools search query data, Searchmetrics and SEMRush to become much more important over the coming months. In terms of strategy, it will be more difficult to find hidden gems of referring traffic keywords and long-tail variations. But being honest, we all saw this coming back in 2011 when Google started to roll out (not provided) and most have started to prepare for this. Whether we like it or not, Google make the rules – so there’s not too much we can do to challenge it. That being said, there are alternatives: http://notprovidedkit.com by Dan Barker being just one example already and we’ve been using organic market share measurement for a long time now to measure SERP visibility, which I think will only increase in popularity since this move. Why do you think Google is doing this? Frankly, who knows? However their idea of privacy is ridiculous to say the least. You cant offer privacy, but still SELL the data to AdWords advertisers. It’s the same user. It’s the same action. So why should paying marketers get the data they need and organic not? Your privacy is only protected from people who refuse to pay Google. Period. Given that this only applies to referrals from organic search and not paid search, the argument about privacy doesn’t make sense. The reason has to be commercial – if the only way to get accurate insight into what is working and what isn’t is via AdWords, marketers may be more inclined to invest more into paid search. The current speculation and vague reasons suggest the motivation is increasing privacy for users, particularly in light of recent NSA allegations, etc. But I don’t believe that at all – in terms of governmental intrusions, it won’t make any difference as long as they have a server or business address on US soil. Personally I believe it’s another attempt to shift the efforts of businesses away from search and increasingly towards paid advertising and Google+. It will further muddy the waters for active SEO and position AdWords / Google Shopping as more transparent and accountable search marketing channels. It also forces the hand of someone who wishes to analyse keyword performance e.g. conversion rate. To find out, people will need to invest in AdWords or trust Bing / Yahoo! data, which in itself is a drop in the ocean compared to Google’s reach. I do think privacy and Prism is a legitimate reason. However, what leaves a sour taste in the mouth is the fact that paid search remains intact while organic search has disappeared completely. That’s the obvious reason as to why people are questioning Google’s intention behind this, privacy doesn’t appear to be affecting the part of their business that drives the most revenue. I don’t think it will drive more people to paid search and I’m not sure that’s the intention.It’s probably more the fact that Google wants to be seen as doing its bit towards protecting privacy, and have chosen to remove the part that is least damaging to it. This makes sense on Google’s part, but it is frustrating for the rest of us. Could it be good for SEOs, in that it makes it harder for amateurs? Not really. With the loss of keyword data, ranking reports will take a larger share of reporting,and actually it’s easier to report on rankings than why a specific set of keywords lost their traffic. Frankly nothing makes it hard to get into SEO. Anyone who ‘thinks’ they can do it will still get in the game. SEO has always been hard for amateurs! This will force SEOs to consider and analyse a greater breadth of data sources to understand how campaigns are performing. There is a risk that the SEO industry will regress a few years and start to once again obsess about rankings but there is also an opportunity to get smarter about how results are reported, looking more at the wider role SEO plays in the overall marketing mix and how much of a role it plays as an enabler as well as a direct response channel. Not really. It won’t massively affect larger agencies and companies who can afford the additional time and cost. But it will damage small businesses, including agencies, who now have an additional challenge to building their businesses, and I think eventually this will hurt both search results and indirectly impact on search usage, as the incumbents for any term become much more entrenched. As with any major shakeup like this there are opportunities for more seasoned SEOs to react quickly, find an alternate way of looking at SEO metrics, and move away from the crowd. Potentially, although if anything I think it drives us more towards having an integrated digital strategy, where SEO is measured as a single channel of a wider marketing campaign. That will force people to move towards a more multichannel approach (if they haven’t already), using clearer business metrics, which will make SEO far more measurable, rather than less. As SEO has evolved a lot more towards a content-driven approach, one thing I have found increasingly useful is the ability to analyse organic performance per page, as opposed to keyword. That way you can figure out what content is resonating with your audience best and being rewarded by Google as a result. I’d expect to see this shift continuing, as it’s more actionable in the sense that you know what’s working, so do more of it! Is this positive for Bing/Yahoo? Will SEOs now pay more attention to referral data there? The same way we used to equate silly formulas such as Overture keyword data multiplied by 3.5 (because site traffic from Google was 3.5 of Yahoo’s) to work out keyword potential, is the same way we will start using arbitrary figures to report. However, today’s search marketers are much smarter, and have many more tools at their disposal, which means that despite the fact that reporting this way may be inaccurate, it might still give you a decent and potentially truer “trend” that can be used to optimise sites. But is it positive for Bing / Yahoo? Not really. Not unless Bing decides to create a public nightmare for Google by running a PR campaign telling users how their data is still available, for people who pay the price (i.e. AdWords). SEOs dont make the search engines, users do. Bing data is going to be more useful now as it’s still providing the keyword data that Google now isn’t. I doubt there’ll be any immediate benefit for Bing in terms of gaining market share from Google because the regular search engine user is oblivious to all this – and it isn’t going to have any immediate or direct impact on the quality of the SERPs. Hopefully. I’d certainly like to see more of a challenge to Google’s dominance, regardless whether it comes from Bing, Blekko, or DuckDuckGo. Certainly Bing seems more likely to continue improving its services and working with the SEO community, rather than pushing people away from them, as Google has done. After all, most search improvements are aligned with usability and accessibility improvements, so a layer of good quality SEO advice and assistance only helps to improve the internet experience. No, because people are still interested in Google rankings. While Bing and Yahoo! might give some insights to the performance of non-brand keywords the volumes are tiny in comparison to Google, so is the depth of the long-tail, which is far greater than other search engines. It will be very interesting to see if Bing and Yahoo end up following Google’s lead on this. I’m not sure they’ll benefit in terms of search market share at all, which is what’s important to them – so I wouldn’t be surprised if they follow suit, it’s just Google are taking the heat for this right now for being the first to move. Yahoo/Bing could provide useful data in the meantime, although I think most people will use a variation of tools and reports, such as Google’s new organic vs. paid search report. Interestingly, the real winners are potentially the enterprise level SEO tool vendors, as SERP visibility and organic market share reports are likely to far more valuable now, given the lack of organic analytics data. Graham Charlton is Editor in Chief at Econsultancy. Follow him on Twitter or connect via Linkedin or Google+.